Buy 1P-LSD Pellets Online now…Best Quality and Cheap!!! 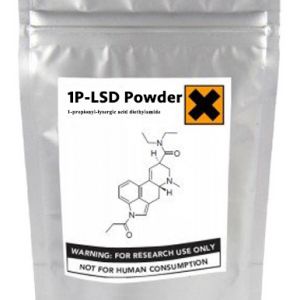 1-propionyl-LSD also known as 1P-LSD or 1-propionyl-lysergic acid diethylamide is a new UK uncontrolled LSD analogue. Recently compounds like ALD-52, LSZ, and AL-LAD were regulated in the UK and other European countries, making them unavailable to researchers not fortunate enough to hold a Home Office license. But with the introduction of 1-propionyl-LSD onto the Tryptamine Labs market, those researchers can now resume their studies. Contrary to popular opinion, 1P-LSD cannot undergo hydrolysis into LSD from contact with moisture in the atmosphere, it is quite stable under atmospheric conditions. We currently stock 1p-LSD in the form of 100µg blotters, 150µg pellets, and powder for convenient research.